» What Can We Learn from an Incorrect TDD Diagram? The center of this diagram is “Add a new Test Case” and “Execute all Test Cases”. Curiously, if all tests pass, try adding another test case. The production code got ahead of the tests. In other words, we violated the 3 Laws of TDD. Conduct a mutation test. That is, see if you can temporarily change the production code so that the test fails. The test adds valuable documentation. Then keep it. This isn’t TDD, but that’s okay. …So are there other tests that aren’t as clear, which we can delete? The location of the “Code Refactoring” node is a major problem. In the diagram, it looks like refactoring occurs after you’ve finished creating your suite of tests. But refactoring isn’t something you do at the end. It’s step 3 of the TDD Waltz. Each part of the waltz is an action with fast feedback. 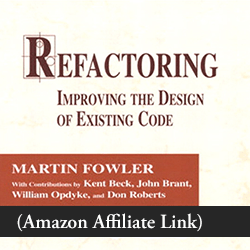 I tell my students, “Refactoring is the secret sauce of TDD.” It’s what the tests empower: the ability to fearlessly change the design of the code. But it’s a continuous process, not one shot at the end. And where the diagram is careful to include “Execute all Test Cases” after “Add a new Test Case” and “Make minimal code changes”, it strangely omits it from refactoring. Incorrect TDD aside: What about testing for robustness? Like I said, I want to see more studies on TDD, not less. I applaud the focus of this particular paper: we should give thought to tests for robustness, not just basic functionality. Part of having more robust tests is learning to question assumptions about input. You can see me do this at the end of my screencast on JSON parsing. At the same time, robust code is important mainly for handling input from external sources. Making bulletproof code may be wasted effort. Context matters. Is property-based testing worth it? I have yet to play with SwiftCheck. Have you? Is there a Swift version of AutoFixture? Is anyone working on automated mutation testing for Swift? So through discipline or tooling, we can make our code more robust. But we can do this without sacrificing the basic principles of TDD. Have you encountered malformed TDD? Have you TDD’d something that turned out not to be robust? Or can you share any information about new tools? Please leave a comment below. What can we learn from an incorrect TDD diagram? What can we learn from the paper? Thanks for bringing this to my attention! 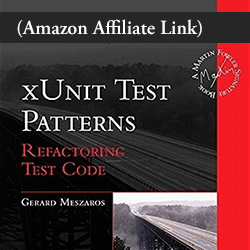 Good material for TDD/testing discussions in the future. Also disn’t know about property testing at all; can you explain that ins a future blog post? Sorry for the typos, was too sloppy proofing the comment ? I’m afraid I have no experience with property-based testing yet. Just like anything else, I’m sure there are ways to write useful and not-so-useful property tests. That’s why I’m curious to learn from anyone who has already used SwiftCheck.